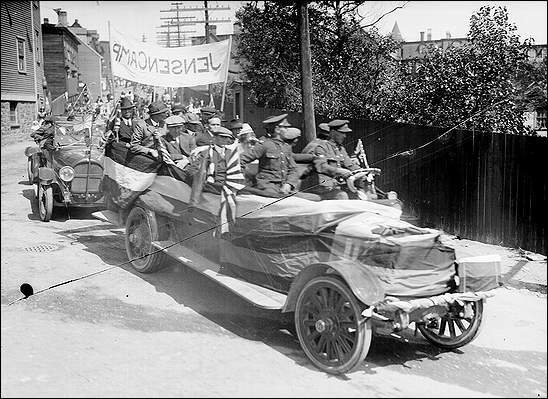 Jensen Camp Float driven by Royal Newfoundland Regiment soldiers in uniform. Non-uniformed men are passengers. Courtesy of The Rooms Provincial Archives Division (E 42-4), St. John's, NL. 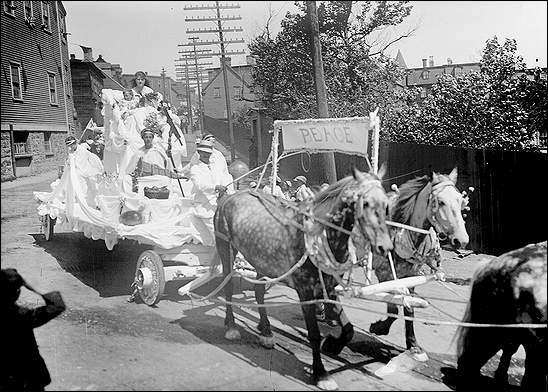 Women and children on float are dressed as angels. Courtesy of The Rooms Provincial Archives Division (E 42-57), St. John's, NL. 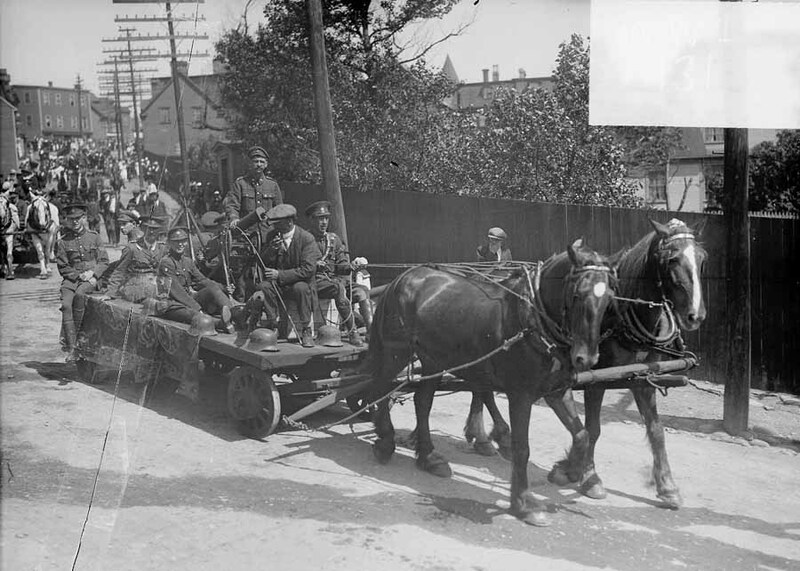 Royal Newfoundland Regiment soldiers in uniform are on horse drawn float showing guns and helmets. Courtesy of The Rooms Provincial Archives Division (E 43-44), St. John's, NL. 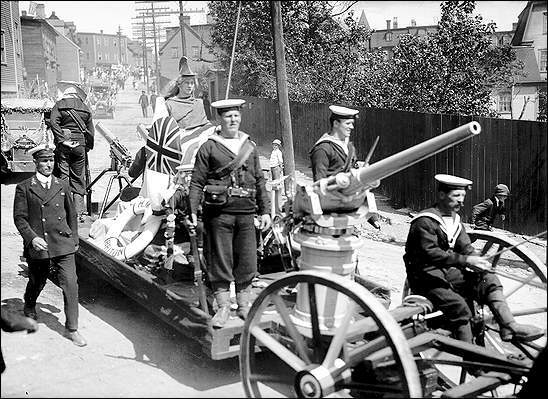 Royal Naval Reserve members in uniform aboard HMS Briton horse drawn float. Courtesy of The Rooms Provincial Archives Division (E 48-39), St. John's, NL. 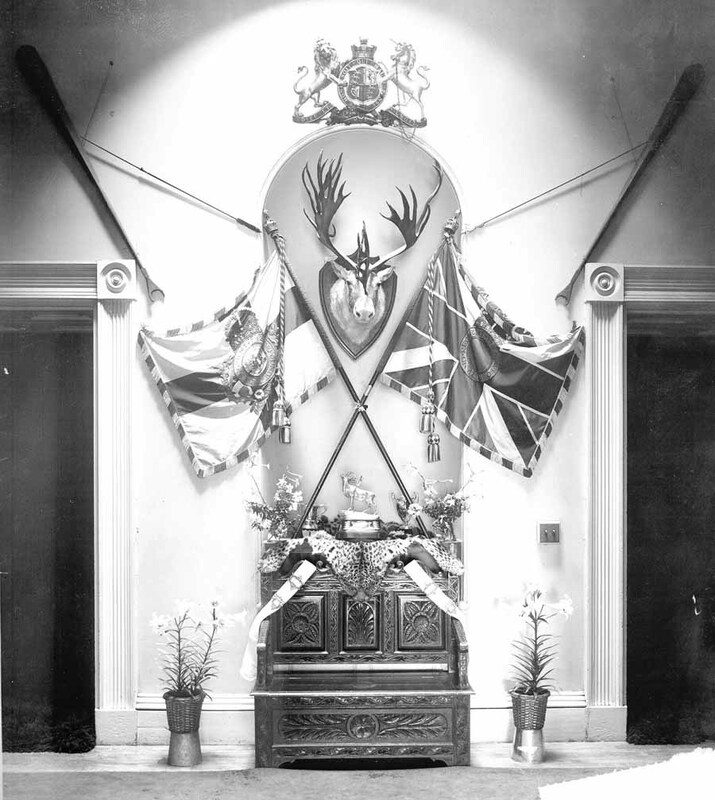 Courtesy of The Rooms Provincial Archives Division (NA 3474), St. John's, NL. Courtesy of The Rooms Provincial Archives Division (E 8-55), St. John's, NL. 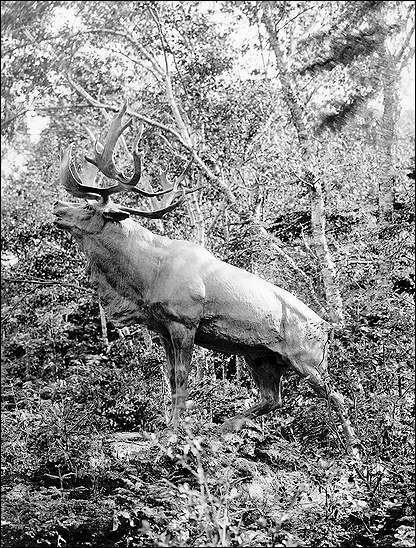 The Fighting Newfoundlander, Bowring Park, St. John's, n.d. 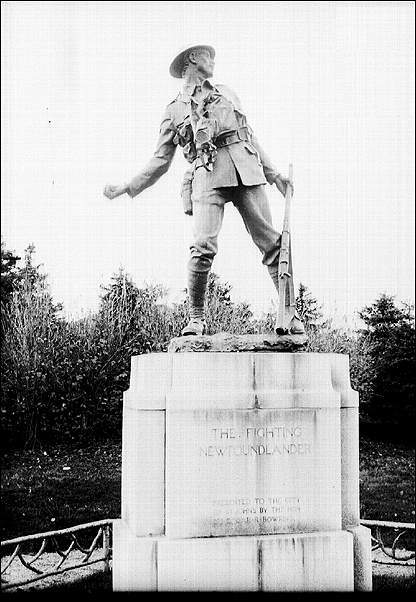 In 1918, Corporal Thomas Pittman, present on the front lines during the Battle of Beaummont Hamel, posed for this statue which was sculpted by Captain Basil Gotto. 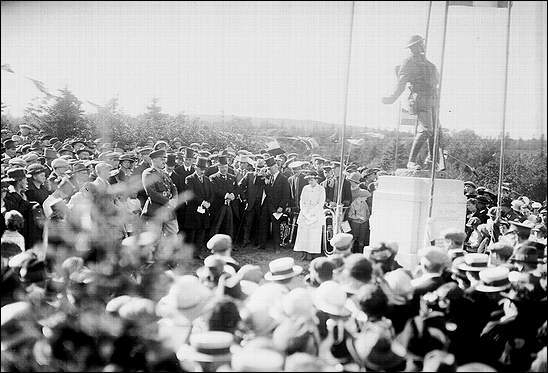 The monument was unveiled on September 13, 1922 in Bowring Park as a memorial to the Newfoundland soldiers who fought in World War I. 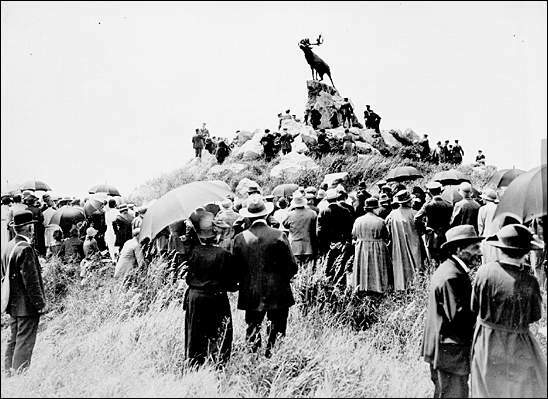 The inscription on the base of the statue reads, "The Fighting Newfoundlander. Presented to the city of St. John's by the Hon. Edgar R. Bowring". 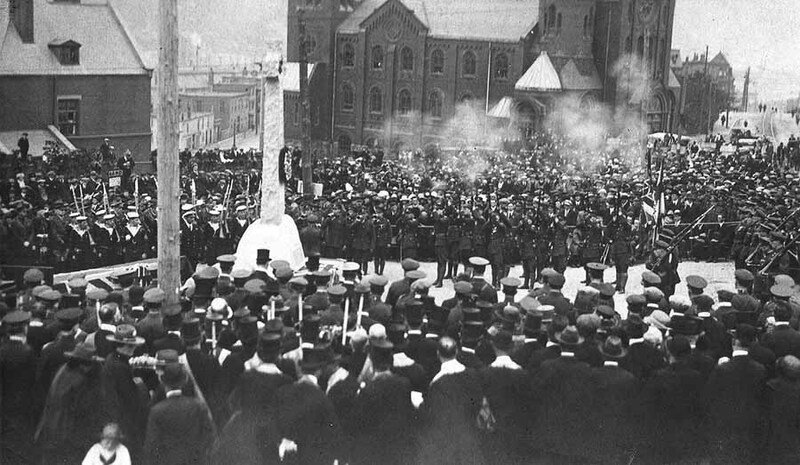 Photograph courtesy of The Rooms Provincial Archives Division (F 10-6), St. John's, NL. Description based on information found on back of photograph and the Bowring Park Foundation web site. 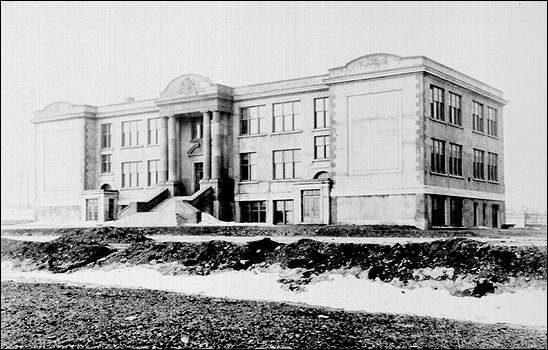 Memorial University College was officially opened on September 15, 1925. 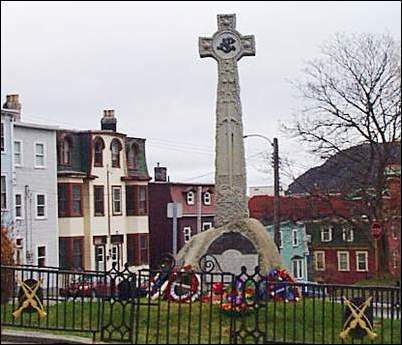 It was built as a memorial to honor Newfoundlanders who were killed in the Great War. 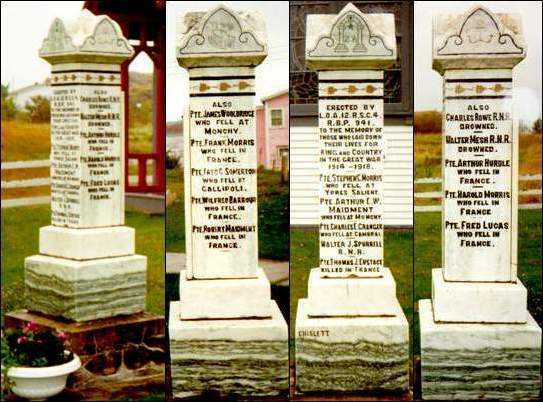 Courtesy of The Rooms Provincial Archives Division (NA 3997), St. John's, NL. Courtesy of The Rooms Provincial Archives Division (NA 3996), St. John's, NL. Taken by Central Press Photos Ltd. (London, England). Courtesy of The Rooms Provincial Archives Division (NA 3106), St. John's, NL. Courtesy of The Rooms Provincial Archives Division (NA 3103), St. John's, NL. Courtesy of The Rooms Provincial Archives Division (NA 3108), St. John's, NL. Courtesy of The Rooms Provincial Archives Division (NA 3104), St. John's, NL. Courtesy of The Rooms Provincial Archives Division (NA 3102), St. John's, NL. 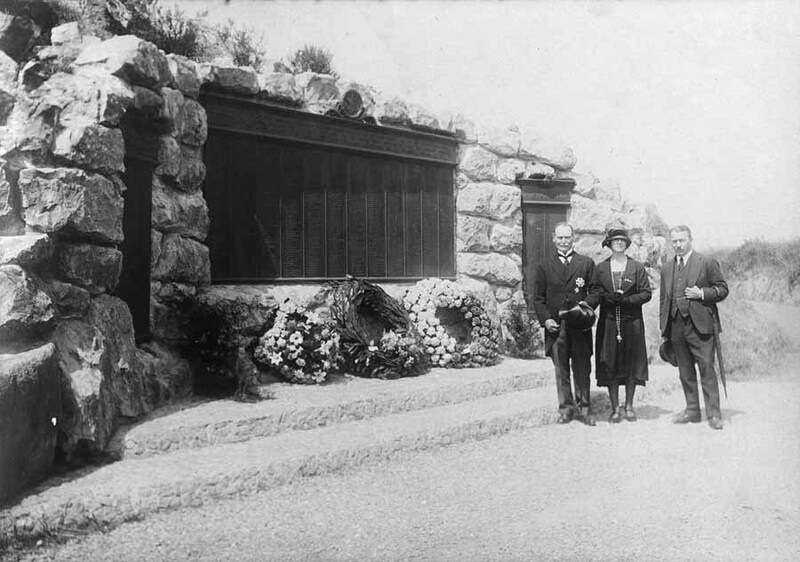 Sir William Lamond Allardyce, Elsie Elizabeth Allardyce and Captain Victor Gordon, High Commissioner for Newfoundland in front of base of Newfoundland War Memorial, Beaumont Hamel. Courtesy of The Rooms Provincial Archives Division (A 11-167), St. John's, NL. Item consists of Published in The Veteran, April 1921. Courtesy of The Rooms Provincial Archives Division (F 16-11), St. John's, NL. 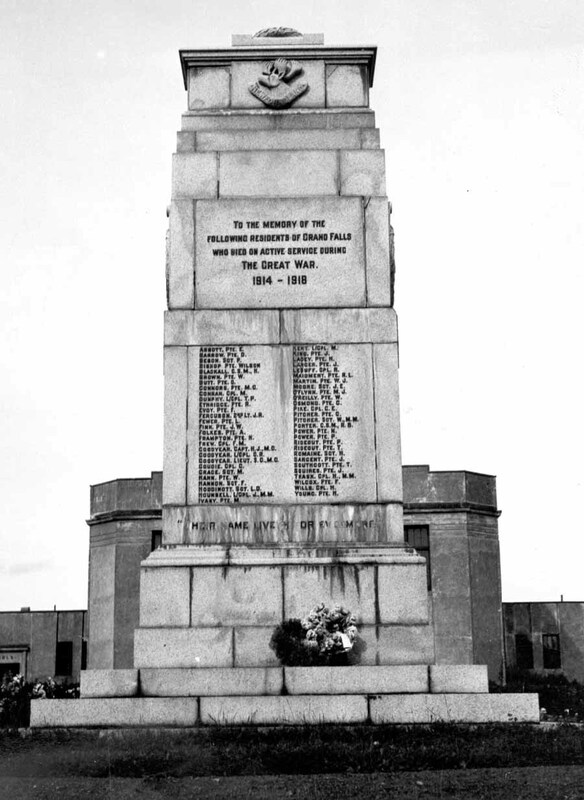 War Memorial, Grand Falls-Windsor, n.d. Courtesy of The Rooms Provincial Archives Division (A 37-56), St. John's, NL. 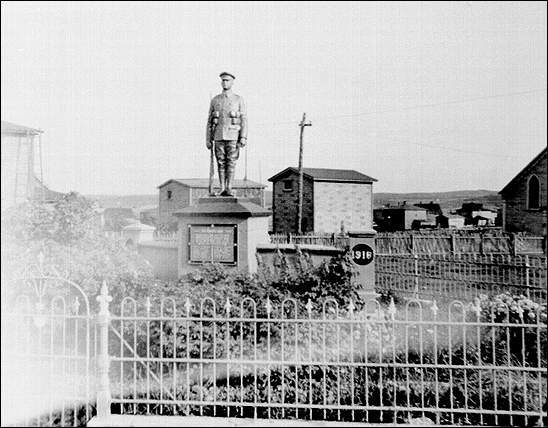 War Memorial, Grand Bank, n.d. 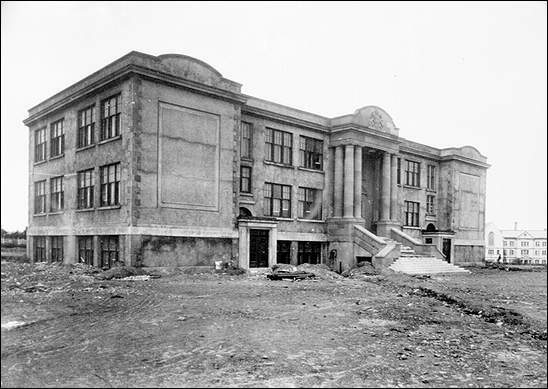 Courtesy of The Rooms Provincial Archives Division (NA 6088), St. John's, NL. 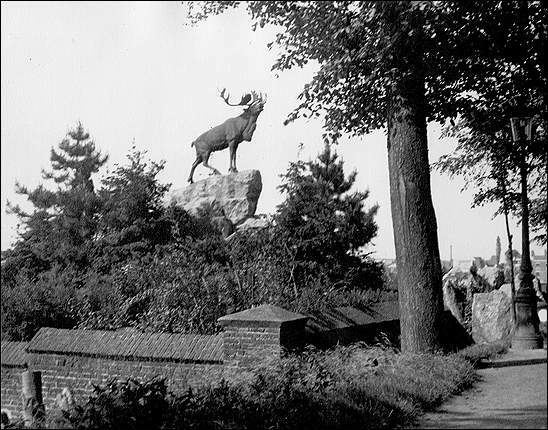 The Caribou Memorial, Monchy-le-Preux, built on German bunker, with yard in rear. 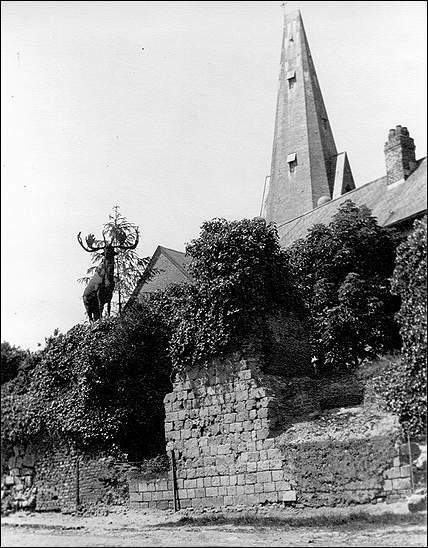 The Town Hall is on the right. Courtesy of The Rooms Provincial Archives Division (B 1-84), St. John's, NL. Courtesy of The Rooms Provincial Archives Division (B 1-87), St. John's, NL. Courtesy of The Rooms Provincial Archives Division (E 36-7), St. John's, NL. 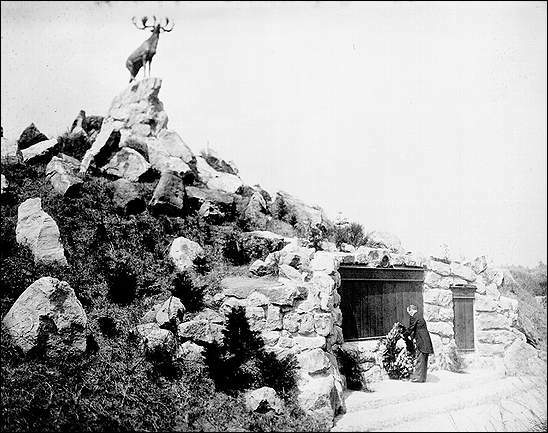 Service at the Sergeants' War Memorial, St. John's, n.d. Courtesy of The Rooms Provincial Archives Division (A 23-53), St. John's, NL. Pte. James Wooldridge who fell at Monchy. Pte. Frank Morris who fell in France. Pte. Fred C. Somerton who fell at Gallipoli. Pte. 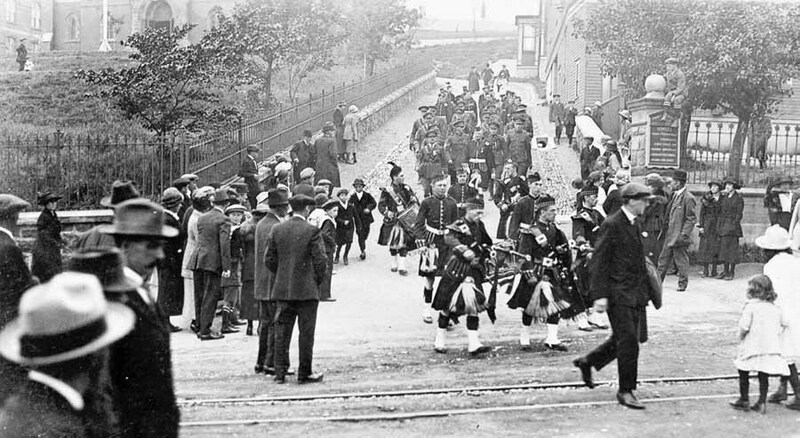 Wilfred Barbour who fell in France. Pte. Robert Maidment who fell in France. Erected by L.O.A.12.R.S.C.4 R.B.P. 941. 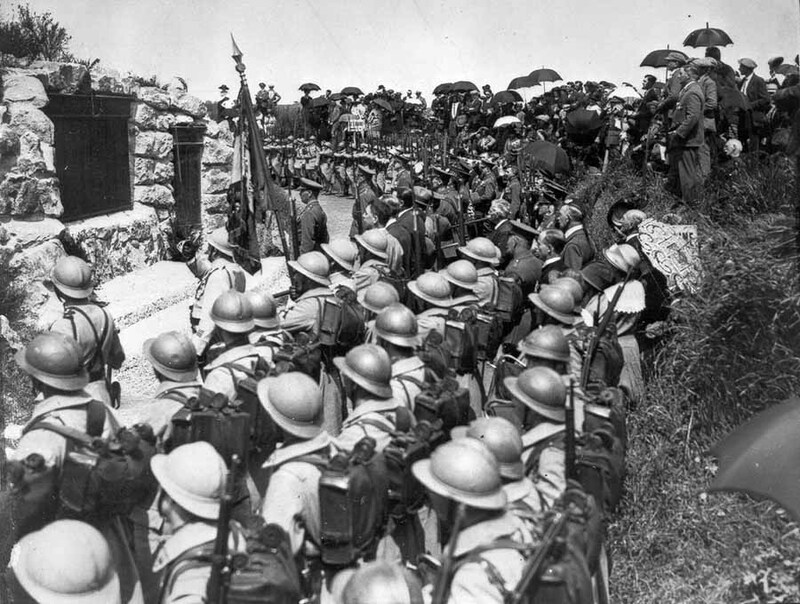 To the memory of those who laid down their lives for King and Country in the Great War 1914 - 1918. Pte. Stephen C. Morris who fell at Ypres Salient. Pte. Arthur E. W. Maidment who fell at Monchy. Pte. Charles E. Cranger who fell at Cambrai. Pte. 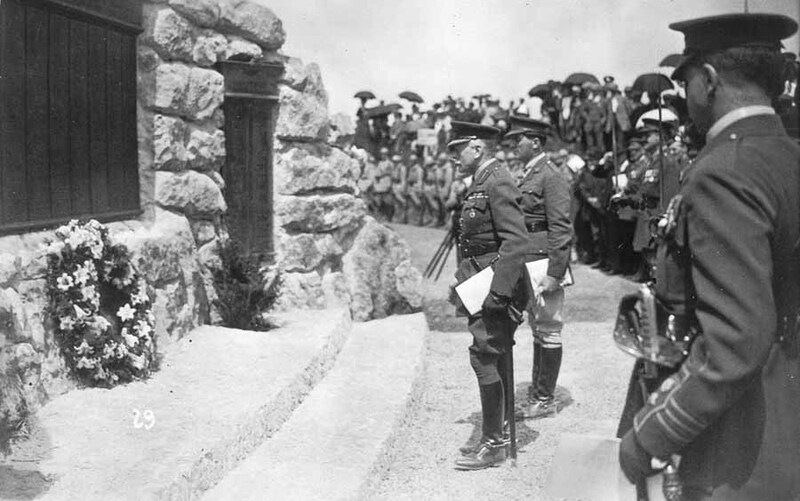 Thomas J. Eustace killed in France. Pte. 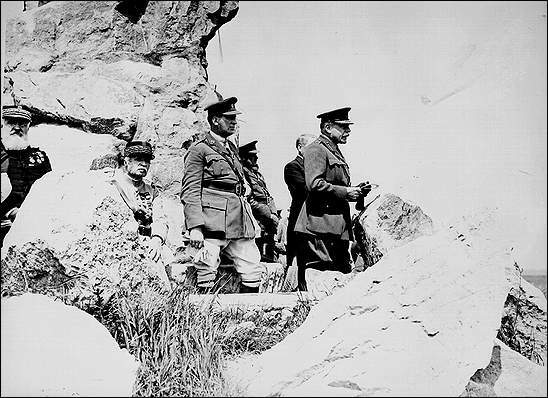 Arthur Hurdle who fell in France. Pte. Harold Morris who fell in France. Pte. Fred Lucas who fell in France.